13 days from £1998pp plus international flights. This is a holiday for those wanting to escape the crowds and experience local hospitality in some stunning locations on both Mauritius and the smaller island of Rodrigues. We have selected the accommodations carefully and staying here, spending time with owners and staff will greatly enhance your holiday. 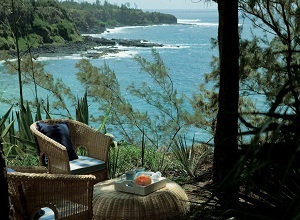 First stop is Andrea Lodge in the south of the island, between a river gorge and cliffs overlooking the ocean. You can go on guided walks through the forest and by the river, learning about the fauna and flora of the area. Your next stay, Seapoint Boutique Hotel, is on a secluded beach in the north of the island, an intriguing blend of barefoot luxury and easy living. 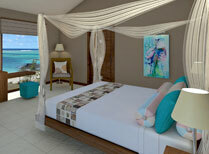 Here the emphasis is on beach life and your room has a terrace or balcony overlooking the sea. 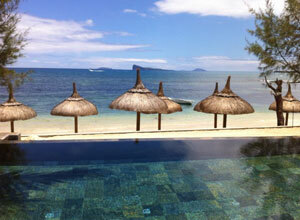 On to the tiny island of Rodrigues and Tekoma, stylish property set on a pristine beach. Sit back and enjoy the views, stroll around the garden, relax by the pool and savour typical Rodriguan cuisine. 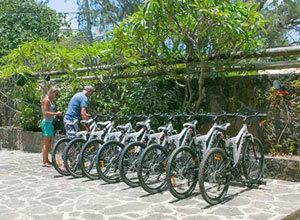 You have a hire car to enable you to explore the island, visiting villages, nature reserves and beaches. There are miles of hiking trails to be followed. The hotel has its own dive centre and water sports can be arranged. You have 4 full days here to soak up the atmosphere and succumb to island life. On arrival at Mauritius airport you will be met and escorted to the hire car desk to collect your car. Your holiday has begun! Enjoy the short drive to Andrea Lodge in Souillac in the far south of the island. Settle in and relax after your journey. You have your own wooden cabin, a cosy space with either air conditioning or a fan to keep it cool. Sit on your veranda and take in the views of the gardens and ocean beyond. Heaven! You can take it easy for the rest of the day, and dinner is at the lodge's charming restaurant. Dinner. Your first full day on Mauritius! Andrea Lodge is well placed for exploring inland Mauritius and with a car at your disposal you can make the most of your time. Within half an hour you can reach the mountain village of Chamarel, known for its dunes that are composed of seven colours of earth: red, brown, violet, blue, green, purple and yellow, and can be seen from a walkway with several viewing galleries. Nearby the Chamarel Falls are the highest on the island and definitely worth a visit. 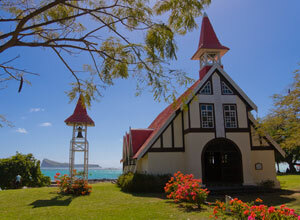 Another highlights is Le Morne mountain on the southwest coast. It has a fascinating history and in previous times has provided shelter for runaway slaves who established small settlements in the caves. Today its attracts hiking enthusiasts and the summit can be reached in around 4 hours. The views of Le Morne Peninsula from the top are well worth the effort. Breakfast & dinner. If you had a busy day out yesterday you may prefer to spend this day nearer to home. There are several walks and hikes you can take in the vicinity of the lodge. The walk through the protected deer park is an easy one along the black cliffs by the coast. 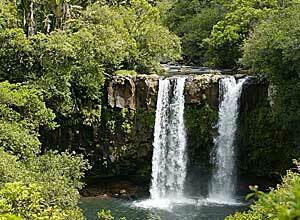 If you feel more energetic you can go hiking in the Combo Forest and cool off with a swim beneath a waterfall. You can drive to the neighbouring village of Souillac where you can spend time at Telfair Garden and stop off to view Rochester Falls. If you're planning to be out for lunch the lodge can prepare a picnic for you to take with you, best requested the evening before. You're welcome to spend time at the lodge, relaxing by and in the swimming pool and strolling round the grounds. Breakfast & dinner. With its beach location there are many water-based activities here. You can go swimming with dolphins, take a ride in the Blue Safari Submarine watching colourful fish and corals, or take a cruise in a catamaran, If you're after greater thrills kite surfing and parasailing are available. Land adventures include mountain biking, horse riding, zip-lining and even sky diving! After a all that excitement you'll be ready for some quiet rest and relaxation at the hotel, maybe treating yourself to a massage at the spa. Breakfast & dinner. Two more days to enjoy life at Seapoint Boutique Hotel. Take advantage of your hire car and do some independent exploring. The shops and restaurants of Grand Baie are not far away, or you could head for Cap Malheureux, a fishing village and site of the British victory over the French in 1810. Its a good place for a stroll and the red-roofed church is much photographed. Heading south you can visit the Sir Seewoosagur Ramgoolam (SSR for short) Botanical Garden, where there's a large collection of indigenous and exotic plants including the huge Victoria Amazonica waterlilies that grow up to 2 metres across. When you've had your fill of exploring head back to the hotel to unwind. Breakfast & dinner. 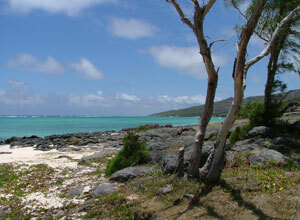 This morning you drive to the airport, where you leave your hire car and board the flight to Rodrigues. On arrival you will be met and assisted with the collection of your next hire car. Drive to Tekoma on the east coast about 30 minutes from the airport. Rodrigues has a pleasantly unhurried pace of life and as you have several days here you can let yourself slow down too. Tekoma is a beautifully designed hotel with large rooms with indoor and outdoor space that provide a home-from-home feeling. Enjoy typical Rodriguan food at the restaurant and take in the sea views, or laze on a lounger and top up your tan. Settle in: your are spending the next 5 nights here. Breakfast & dinner. 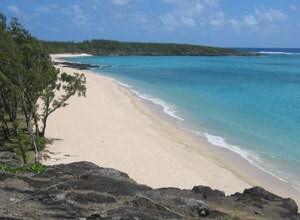 Relax and adjust to the slow pace of life in Rodrigues. 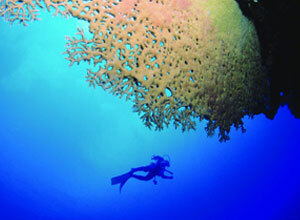 You will feel a world away from the nightlife and noise of the larger resorts of Mauritius. The island's atmosphere is completely relaxed and the local people are welcoming. With your car you are free to visit beaches (no crowds!) 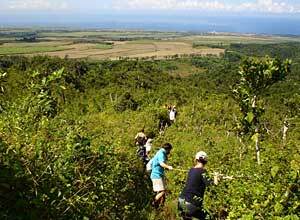 and explore the island with miles of hiking trails waiting to be explored. Enjoy two more days on your island getaway. 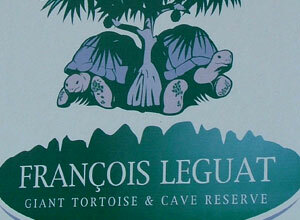 Get out and about with your car, visit the Francois Leguat Reserve where you can see tortoises in the wild and explore caves, spend some time walking round the botanical gardens at Jardin des 5 Sens. If you want a longer walk you can follow forest trails in the Grande Montagne Nature Reserve, great for bird watching. Port Mathurin, the capital, is just a 15 minute drive from the hotel for some gift and souvenir shopping. Try to leave some time to enjoy a soothing spa treatment, a lovely way to round off your holiday. Breakfast & dinner. It's time to leave. Having had breakfast and taken in the beach view for a final time you drive to the airport in Rodrigues, where you leave your hire car. Breakfast. Price notes: 2019 prices based on 2 sharing: 8 Jan - 15 Apr and Oct from £2400. 16 - 30 Apr 2019 from £2269. May - Sept 2019 from £1988. 1 Nov - 20 Dec 2019 from £2450. Accommodation on a twin share basis; meet and greet in Mauritius and Rodrigues; car hire in Mauritus and on Rodrigues; meals as specified; complimentary activities; half litre bottle of mineral water on arrival. International flights; return flights from Mauritius to Rodrigues; departure taxes; visas; travel insurance; meals not specified; items of a personal nature; drinks; tips. 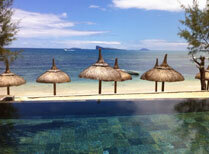 International flights from the UK to Mauritius start from around £700, depending on season and availability. 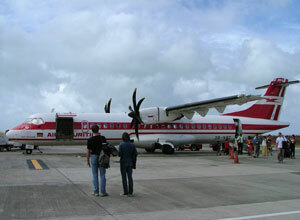 You will also need return flights from Mauritius to Rodrigues. Departure dates: This is a tailor made trip which we can plan for you at any time you like. You can tweak any element of the trip if you like. Just call us to help you plan this trip. Mauritius is known for its glorious beaches, clear ocean waters and warm climate, making it a popular choice for a relaxing holiday at any time of the year. 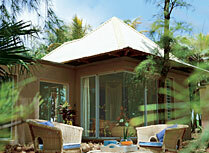 Andrea Lodge is located on the south coast of Mauritius, in forested hills overlooking the sea.